STD testing is a very uncomfortable, yet extremely important topic, considering the potential consequences of an untreated infection. Between 70-80% of infected individuals in the US don’t even know they are infected, posing a significant risk to their sexual partners. It is, therefore, essential to disperse the shame stigma that surrounds STDs and get tested right after potential exposure. So, if you have reasons to be concerned or simply want an informative check-up, our list of the best STD tests can guide you in the right direction. 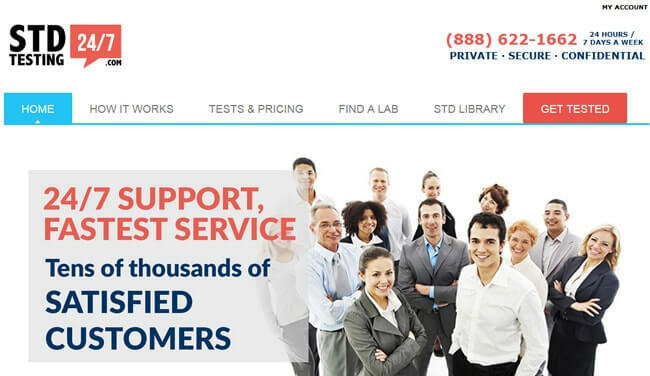 Let’s take a look at what the top-quality STD testing companies have to offer to their clients. LetsGetChecked is a reputable online platform that connects some of the best screening labs in the world with individuals in need of convenient at-home health testing ranging from STDs to cancer. Before reviewing the best-rated companies, we’ll take a quick look at our set of ranking criteria used to sort STD testing providers into appropriate brackets. Our primary criteria include test variety, quality, and accuracy. We closely inspect lab certifications and verify whether the tests are FDA-approved, thus determining whether the STD tests in question constitute a safe and reliable choice. We give priority to testing providers that offer reasonably short turnaround times and fair prices, accept insurance as a means of payment, and provide high-quality client support, including doctor consultations. We take special care that the companies featured on our list take appropriate measures to protect client privacy. Additional features and tools available to clients add to the final score of each STD testing provider, based on which we determine which solutions are worthy of a spot on our list of the best STD tests currently available. Below are detailed reviews of all the companies that made it onto our list of the best STD tests on the market. STDcheck is a reputable provider of STD testing services from Houston, Texas. The company was founded 7 years ago and has received an A+ BBB certification along the way. Its portfolio includes 13 testing options with reliable results and quick turnaround times. STDcheck is also committed to educating the population (especially teenagers) on everything STD related, including causing factors, transmission, treatment, and potential dangers. STDcheck employs a relatively simple business model, which allows you to perform a quick STD test and receive results in just a couple of days without any tedious paperwork or even making an appointment. You can start the procedure by placing your online order on the official website, providing the required personal data, and choosing your payment method. You’ll be given a personal ID code, which you can use in more than 4,500 test centers nationwide. There are no waiting rooms and no one will ever know the exact reason for your visit. The results are usually ready within 1-2 business days and you can specify how you want to receive them. You can instruct the company to send your report by email, SMS or do nothing at all until you give them a call. The company’s Care Advisors are available 24/7 for consultation and to answer any questions you might have. If you test positive, one of the skilled STDcheck physicians will explain your situation to you in a direct conversation and can even start your treatment. STDcheck offers individual tests for hepatitis A/B/C, herpes 1 and 2, HIV, syphilis, chlamydia, and gonorrhea. The company also features a screening panel for 10 different infections and an HIV Early Detection test. 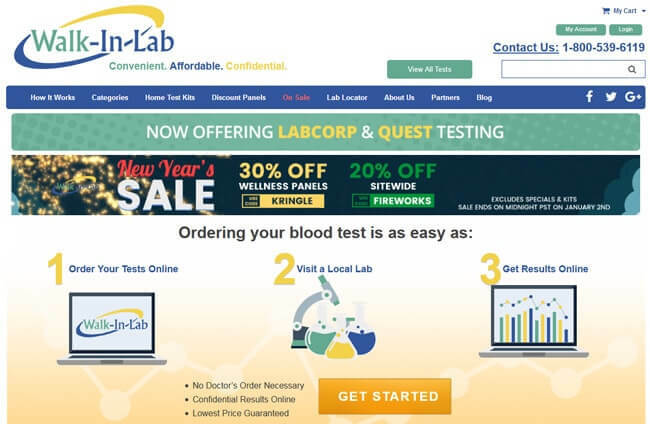 Any Lab Test Now is an interesting company that managed to combine STD testing with a franchise-based business model. On September 20, 2007, Any Test Franchising, Inc. got the license to franchise the concept and has since spread across more than 160 stores nationwide. Since we are talking about the franchising model, note that all stores are owned and operated independently. Any Lab Test Now offers a lot of different testing solutions, including STD, paternity, toxicology, and many other. The company follows its initial business policy of providing a rich portfolio of tests with budget-friendly price tags. Once you’ve decided on a specific location, you can pay the store a visit and perform the required sample collection for your chosen test. One of the highly trained medical assistants will collect your biological sample, label it appropriately, and complete any necessary paperwork or chain of custody documentation. Lastly, your specimen will be sent to one of the accredited and certified partner labs for further processing. You don’t have to make an appointment, but it’s definitely recommended if you want to save time since the medical assistant can do all the preparatory work in advance. The sample collection process itself takes about 15 minutes or less. A professional physician is present at every store to make sure the testing procedure is carried out according to the company’s regulations and to explain the results to the clients. Your final report will be sent to the same location where you purchased the test. You can also have the staff inform you that your report is ready for pickup or send it to you by mail or fax. Your results will be available within 1-2 days from the moment your biological sample is collected. If you send somebody else to pick up your results, you’ll have to give them a written and signed consent. MyLAB Box is a DNA testing company launched in 2013 in Los Angeles, California. It operates in all 50 states and is the first provider of STD testing to fully implement the at-home business principle. It offers simple, convenient, and budget-friendly testing solutions and encourages its users to take full control of their sexual health. As we said, MyLAB Box follows the direct-to-customer principle, which means you can do most of the testing without even leaving your home. The procedure starts with your online order. Depending on the chosen test, you’ll have to provide a sample of your blood or urine or a vaginal swab. The testing kit will arrive at your address shortly after the order is received. The kit is entirely manufactured in the US and either FDA-approved or certified by the lab affiliate for transport and self-collection. This ensures the same diagnostic accuracy as tests performed in physical lab centers. The results are usually ready within 1-5 work days. If your test comes backs positive, same-day phone consultations with the company’s physician are available free of charge. MyLAB Box features tests for chlamydia, gonorrhea, genital herpes, trichomoniasis, HIV, HPV, mycoplasma genitalium, syphilis, cervical cancer using HPV, and hepatitis C. Its screening panels include Safe Box, Total Box, V-Box, 5 Panel Vaginal Test Pack, and Love Box. You can also purchase a gift card for your partner. Personalabs regards itself as a personal hub for all people who want complete control over their sexual health without having to deal with doctors or insurance companies. The main goal of the company is to encourage its users to take a more proactive approach to a healthier lifestyle. Personalabs was launched back in 2006 to provide its clients with a budget-friendly, fast, convenient, and accurate source of all information regarding personal health. The company partnered with LabCorp, which gave it the possibility to offer over 2,300 testing locations to its customers. The lab centers are spread all over the US. Personalabs offers more than 300 different testing solutions and all you have to do is pick the ones that suit your particular needs and place an order on the official website. In order to do so, however, you’ll have to create a personal account and provide a username and password. 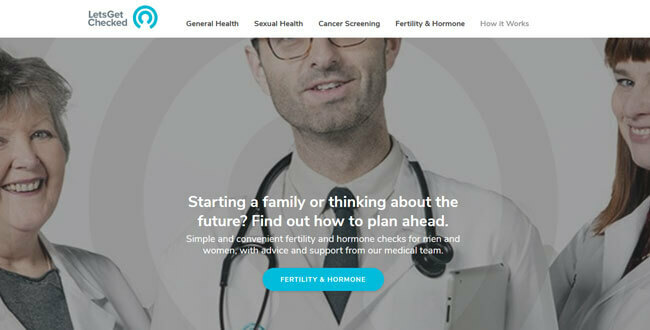 This site also features a useful tool called symptom checker, designed to help you make the right decision if you are unsure about your symptoms and the best course of action. In order to use the tool, you’ll have to provide your age and gender, region, and the symptoms you experience. The company allows individuals 16+ to order STD tests while the rest of its portfolio is reserved for people 18+. Once it receives your order, the company will provide you with a doctor’s order, which you should print out and show at the front desk at your chosen testing location. After your biological sample is extracted and processed, you can expect the results in 2-3 business days. Note that complex tests can take up to 7-10 days. STD Testing 24/7 is a young STD testing provider founded by PHAS Group LLC in 2014. The company is available to its customers 24/7 and offers a wide variety of different testing solutions for the most common STDs currently in the US. The company doesn’t implement at-home sample collection but offers its clients more than 4,000 testing locations all over the nation, so you shouldn’t have any problems locating the testing center near your area using the simple locator tool on the official website. The final report is usually ready within 3 working days or less, depending on the test/panel you’ve chosen. STD Testing 24/7 offers 8 single STD tests and 2 convenient and affordable testing panels, one of which includes HIV Early Detection test. You also have the option of bundling tests for chlamydia and gonorrhea and saving 10$ in the process. Every testing solution is FDA-approved and you’ll receive free consultations with every order. The company takes great care of user security and implements 128-bit SSL encryption and HL-7 standard to protect all communication with the official website. Your results will never be shared with anybody unless you test positive or due to legal requirements. Accepted payment methods include Visa, American Express, MasterCard, and PayPal. 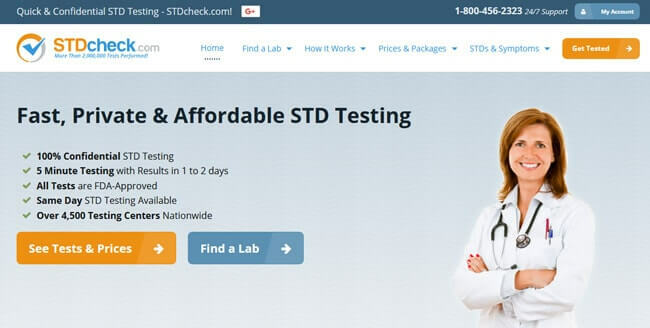 STD Testing 24/7 doesn’t accept insurance payments. You can also count on 24/7 live chat support for all your potential questions. LetsGetChecked is a reliable and convenient provider of at-home testing services, including sexual/women’s/men’s health, and wellness options. It operates by linking potential users to renowned testing laboratories all around the world. The at-home testing solutions allow you to get your sexual health report without waiting in lines and visiting overcrowded testing centers. All the laboratories feature CLIA, INAB, CPA, and CAP accreditations, which guarantees the highest level of service as well as optimal precision. LetsGetChecked is a HIPAA compliant company and cooperates with more than 1,000 pharmacies and stores worldwide. The testing procedure is 100% discreet. Once the laboratory receives your biological sample, it will generate reliable results in just 2-5 days. If you test positive for some of the most common STIs, the results will be explained to you by the company’s nursing team, at which point you can ask any questions you might have or simply get advice on how to proceed. You’ll also receive a PDF copy of your results, which you can share with your doctor if you so choose. LetsGetChecked offers 4 different testing options, including: Simple 2 (chlamydia, gonorrhea), Basic 3 (chlamydia, gonorrhea, trichomoniasis), Standard 6 (chlamydia, gonorrhea, trichomoniasis, HIV, syphilis, hep B), and Complete 11 (chlamydia, gonorrhea, trichomoniasis, HIV, syphilis, hep B, Gardnerella, mycoplasma, ureaplasma, herpes simplex 1 and 2). PlushCare is a private online health care clinic committed to providing high-quality service in the fields of internal medicine and urgent care. In order to complete its portfolio and provide the best care possible, the company also offers online doctor’s visits and telemedicine. PlushCare was launched in 2014 in San Francisco, CA, but it quickly gained traction thanks to the overall service quality and affordable pricing. PlushCare is a traditional online STD testing service, which means you won’t be able to collect your biological specimen at home and send it to the processing lab. Instead, the company offers more than 2,000 testing locations in 31 states. You can simply enter your ZIP Code into the lab locator on the official website and the tool will find the closest location for you. Test results are usually ready within 3 working days or less and forwarded to your email address. If your test comes back positive, you will be connected with one of the company’s physicians who can explain your situation and prescribe the necessary treatment. PlushCare offers 5 different testing solutions (chlamydia & gonorrhea and hepatitis B & C tests are bundled together), but you can also order all the tests at once and save 110$in the process. Credit cards are the only accepted payment option at this point, but you can also choose to use your insurance if your plan covers STD testing. PlushCare is HIPAA compliant and keeps your medical records in its secure electronic medical records system. Walk-In Lab is an online testing provider launched in 2009 in Madisonville, LA. The company features a BBB accreditation and offers a multitude of high-quality lab tests and draw sites spread all over the US. It boasts a low pricing policy and also matches any lower prices found with other similar providers. As we mentioned, Walk-In Lab features physical testing centers instead of offering dedicated at-home testing kits. The thing we didn’t like, however, is the GEO-restricted access to the official website, forcing users to use VPNs if they want to access it from certain countries outside of the US. The lab visit doesn’t require any appointments and the procedure itself is done in 15-30 minutes. The results are usually available within 2-3 business days or 3-5 days for more difficult tests. You’ll receive a direct email notification once your final report is generated. The company offers numerous STD testing panels and individual options, as well as a multitude of other testing solutions, including tests for allergies, cancer, diabetes, blood disorder, drug and alcohol level, heart health, kidney, digestive system, etc. Walk-In Lab cooperates with LabCorp and Quest Diagnostics to provide over 3,700 testing locations worldwide. EverlyWell is a private online testing company dedicated to digital health, preventive medicine, health, and wellness. It was launched in 2015 in Austin, Texas, by Harvard Business School graduate Julia Taylor Cheek. EverlyWell is an at-home testing provider, which means you can collect your sample in the privacy of your home and mail it to the processing facility. The procedure is quite simple and includes placing an order, registering your kit online, collecting and mailing your sample, and inspecting your results, which should arrive within 5 business days after your sample arrives at the lab. Once your report is available, you’ll receive an email notification. On top of male and female-focused STD panels, the company offers a wide range of different tests, including DNA examinations performed by its partner Helix, well-known for its partnership with National Geographic. EverlyWell currently services orders made in 46 US states. Legal barriers prevent the company from selling its testing kits to residents of New York, New Jersey, Maryland, and Rhode Island.The company uses Catalyze, which is a HIPAA compliant data hosting platform. It also implements AES-256 encryption and HTTPS protocol. Private iDNA is a provider of STD testing solutions launched in 2016 in Dallas, Texas. The company follows the true at-home testing model, meaning you can collect your sample at home and mail it to the lab. The sample collection procedure takes around 5 minutes and the results are available within 2-7 business days. Note that every testing kit has a 3-month expiration date and becomes invalid if not used during that time window. It is delivered in a nondescript packaging without any indications of the contents or company-related symbols. The company currently delivers only within the US and implements numerous security measures in order to preserve optimal user privacy. It doesn’t allow minors to test for STDs, which is definitely something we’d like to see changed in the future. Private iDNA currently accepts all major credit cards and provides its users with a full 30-day money back guarantee in case the service was less than satisfying. Note that 30$ will be subtracted from the refund amount for shipping and handling fees. Refunds cannot be requested if you already received your test results. In order to bring you this all-inclusive list of the best STD tests on the market, we ranked the most popular STD testing companies based on objective grades, which were given on the most important aspects of their services. The first thing we inspected was the service quality, including the expertise of the staff, the availability of company physicians and user support, the number of testing solutions, the quality of the processing facility, the testing process in its entirety, ranging from placing an order to receiving the results, and many other aspects. Test processing times were our second criterion, made much more important by the very nature of the diseases in question. Nobody wants to wait when it comes to STD testing, so companies with shorter turnaround times are definitely a better choice. Next, we looked into the available testing locations. Convenience is a big part of what makes a service attractive or not. Therefore, if you have to drive miles upon miles in order to get to the testing center, you’re most likely not going to do it, especially if you want to pick up the results yourself. So, the grading system was pretty straightforward here: the more testing locations, the higher the grade. Value for money was our next criterium dealing with the overall price-to-value ratio of any particular service. Nothing complicated here, we just compared what companies offer in terms of information, support, and potential treatment options against their pricing policies and gave our grades based on the perceived equilibrium level. Finally, we were interested in the overall experience with any given STD company, a combination of all the previous criteria that serves as the glue that keeps our entire grading system together.